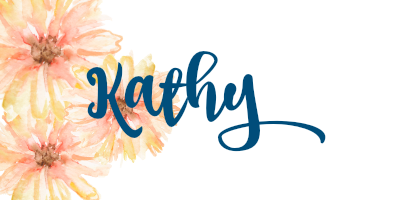 #stampinup #faithfulinkspirations Today I have a lovely, but simple sympathy card to show you. 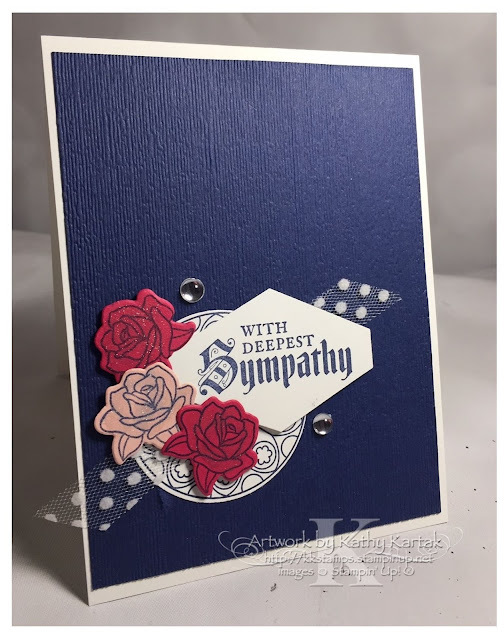 I'm preparing cards for an upcoming all-occasion stamp-a-stack and I always like to design a sympathy card....because we always need them. I'm also offering the option to switch out the sentiment to "thinking of you" or "get well soon" so that the guests have options. I saw a similar card to this on Pinterest and I was drawn to the simple design. I changed mine a little bit, but the design is the same. I started by embossing a 4" by 5-1/4" Night of Navy Card Stock mat with the Subtle Embossing Folder. I adhered this to a Thick Whisper White Card Stock card base, cut lengthwise. I used a little Snail Adhesive in the middle of the of the circular design and adhered a length of Whisper White Polka Dot Tulle Ribbon. I adhered the sentiment piece with Stampin' Dimensionals. I used one Stampin' Dimensional for each flower and adhered them to the card, tucking them behind each other. To finish the card, I added two Clear Epoxy Droplets and some Wink of Stella to the flowers. Very simple, but very elegant, don't you think?